We have very exciting news to share! I’m sure many of you have already read about, or heard about, the recent acquisition of EcoFasten Solar by Esdec, a leading European solar roof mounting solutions provider. EcoFasten’s rail-free racking systems have contributed over 3 GW of U.S. installations, while Esdec has contributed to 1.9 GW of its systems installed all across Europe. Two huge contenders, both industry leaders, responsible for 5 GW combined solar installs! This strategic move will help expand the U.S. solar footprint by combining the forces of 2 industry leaders – thus creating a major player in the solar rooftop mounting industry. PHOENIX, ARIZONA – November 6, 2018 – Esdec, a leading European solar rooftop mounting solutions provider, announced today that it has acquired EcoFasten Solar, an industry leader in the design, engineering and manufacture of water-tight solar roof mounts and components for the U.S. residential and commercial sectors. The combination of Esdec and EcoFasten Solar creates a major solar rooftop mounting player with 5 GW installed worldwide. Esdec and EcoFasten Solar are both known for their innovative, quick-to-install, reliable mounting systems. EcoFasten Solar’s patented rail-less racking and mounting for multiple roof types have supported over 3 GW of U.S. installations, with the company projected to supply just under 500 MW in 2018. Esdec, the Netherlands’ largest mounting manufacturer with 1.9 GW of its systems installed across Europe, has seen increasing adoption of its FlatFix commercial flat-roof offering, fueling the company’s expansion into the U.S. market earlier this year. EcoFasten Solar founder and roofing expert Brian Stearns started his Phoenix-based company to bridge the gap between solar array designers and the people who install those systems. Stearns will be instrumental in product development and utilizing the combined R&D resources of both companies to deliver even more efficient and reliable residential systems for the U.S. market. Esdec successfully launched its U.S. subsidiary at the Solar Power International trade show earlier this year and is ramping up operations from its Atlanta headquarters. In addition to the EcoFasten Solar line, Esdec’s U.S. product offerings include the FlatFix system, a lightweight, clickable solar mounting system for flat commercial and industrial roofs. Esdec also recently celebrated the opening of its new Innovation Centre in the Netherlands, where the staff will work closely with the EcoFasten Solar team to fast-track the research, development and commercialization of new racking and mounting products for the U.S. and European markets. After a long winter’s nap, it’s time to get back into the swing of things. There’s work to be done, solar to install, and milestones to be met. What roof type will the majority of your installs be on during the remainder of 2018? While comp shingle and metal make up the majority of roof types in the northeast, tile makes up a huge portion of the roofs in the south and in the west….yes, even in snow country. That said, EcoFasten Solar hopes all you installers out there will benefit from these top tips for installing PV on tile roofing. Making sure you dig into the following elements of the install will make your time on the roof as fast and straightforward as possible. What profile of tile is the roof you’ll be working on? Your mounting/flashing solution will be specific to tile type, such as flat, W and S profile tiles. Tile roofs are an ideal home for bats, squirrels, rats, wasps, etc….Gnawing and added moisture can degrade materials rapidly, causing structural or waterproofing failure. Dropped tools or standing the wrong way can break and crack tiles. If you see broken tiles (and you will), make note, take photos, show the homeowner or business owner because, like it or not, the last person on the roof is who will be blamed for any damage. IMPORTANT: Damaged tiles should be replaced before installing. Solar mounting solutions that replace a tile with flashing are a great source for replacement tiles. 15# / 30# / 40# asphalt-impregnated felt, modified bitumen, or plastic / synthetic fabrication is ideal. Capillary action and saturated tile can cause moisture at underside of tile. Wind-driven rain can also find its way up and under tile. Signs of a leak and/or the need for a roof repair include mold, curling of the underlayment and cracking. Do the underlayment/sheathing or battens require repairs? What is the spacing between battens? Weak attachments (lever arm) can deflect and break tile under loads, providing a direct path to solar attachment for moisture, pests, etc…. The use of either hanger bolt assemblies or standoffs mean that you’ll need to drill, grind or cut the tile when installing, which is not an ideal solution, and will make the time you spend on the roof more time consuming as well as more frustrating. Also, both methods usually involve “bibbing” or mastic and metal flashing at the roof underlayment with metal boot flashing at the tile surface. There are new products on the market that are less labor intensive, requiring less tooling and no messy mastic. Array layout will be pre-determined by a structural engineer and approved by Authority Having Jurisdiction (AHJ). Tile is heavy – minimizing additional weight on the roof, and gaining approval from a structural engineer will ensure structural integrity. Just like minimizing additional weight on the roof, it’s equally important to minimize your time on the roof. Even the strongest types of tile can be brittle, so spending as little time on the roof as possible will minimize your chances of dropping tools or standing the wrong way. 4 decades of on-the-roof experience led EcoFasten Solar to engineer solutions that are easiest for you, the installer. Solutions like the Tile Flashing System, the first system on the market like it. Fast and easy to install, the flashing replaces a complete tile, so there’s no cutting, drilling or grinding of tiles. Besides attaching to the roof deck with as little as 2 lag bolts, the system is a great resource for replacement tile for those tiles that have cracked or broken. If your team or your project manager insists on using tile hooks, do yourself a favor and use our Tile Hook Flashing, which also replaces one complete tile, and is available in 3 profile options for flat, W and S tile roofing. Talk about a time saver! If you have questions or would like more information on any of our systems, just let us know – that’s what we’re here for! Cheers to a 2018 full of successful installations! Follow us and feel free to share & tag us in your project images. And don’t forget to sign up to keep up with the latest industry and EcoFasten news, updates, events, project images, hints, tips, and more! Industry leader EcoFasten Solar designs, engineers, and manufactures patented, watertight solar roof mounts. The company provides mounting solutions that are easy to install, cost-effective, rugged in fabrication, and unsurpassed in quality. Comprised of a seasoned and growing team of professionals with talent, ability, and drive, all EcoFasten Solar products are precision-designed with the installer in mind. 2017: The Numbers Are In…. 2017 was a different kind of year for the solar industry. Instead of the steady uptick we’ve seen in years past, 2017 saw a slight downturn in the residential and utility sectors, while non-residential PV installations overshadowed 2016’s numbers (but not by much). While solar installations took a hit spanning all but a few markets, employment by industry sector saw decreasing numbers in the amount of Installation professionals out there, but it looks like the manufacturing, project development, and sales and distributions sectors stayed pretty much the same. The National Solar Jobs Census corroborates the numbers. When you look at the big picture, a 168% increase since 2010 is nothing to shake a stick at! There 30% less MW installed than in 2016, but still over 40% more than we saw in 2015. Over 53 GW of total capacity is now installed, averaging an annual growth rate of 59% over the past decade. Solar accounted for 30% of all newly installed electric capacity. To give you some perspective, in 2016 solar accounted for 39% of all new capacity. Nationally speaking, 1.9% of all generated electricity comes from solar. When it comes to system costs, we’ve seen a 52% decrease in total installed system price since 2013, with price decreases slowing a bit in 2017. Just in the past 12 months we’ve already seen that changing as total system pricing ranges from a 1.6% increase for the residential market, to 2% a decrease in non-residential solar. The increase in pricing can be directly attributable to the Solar Trade Case. Community solar projects and corporate procurement have given a boost to the non-residential sector. Follow us and feel free to share & tag us in your installation images. And don’t forget to sign up to receive our monthly eNewsletter for the latest industry and EcoFasten news, updates, and more! Industry leader EcoFasten Solar designs, engineers, and manufactures patented, watertight solar roof mounts, rail-free racking systems, and components. The company provides mounting solutions that are easy to install, cost-effective, rugged in fabrication, and unsurpassed in quality. Comprised of a seasoned and growing team of professionals with talent, ability, and drive, all EcoFasten Solar products are precision-designed with the installer in mind. That time of year when we start thinking about the warmer months ahead. Warmer months full of longer days and sunshine. 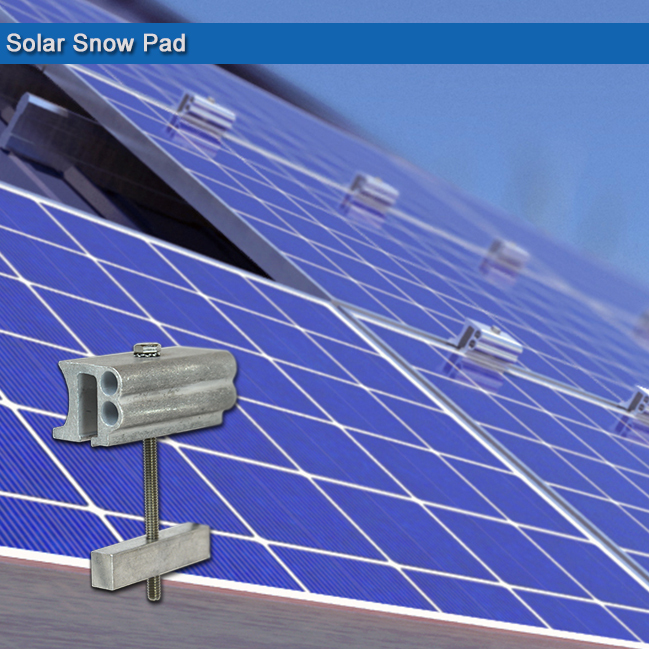 March is also an ideal time to think about installing solar snow management solutions on your solar projects in areas that experience snowfall. 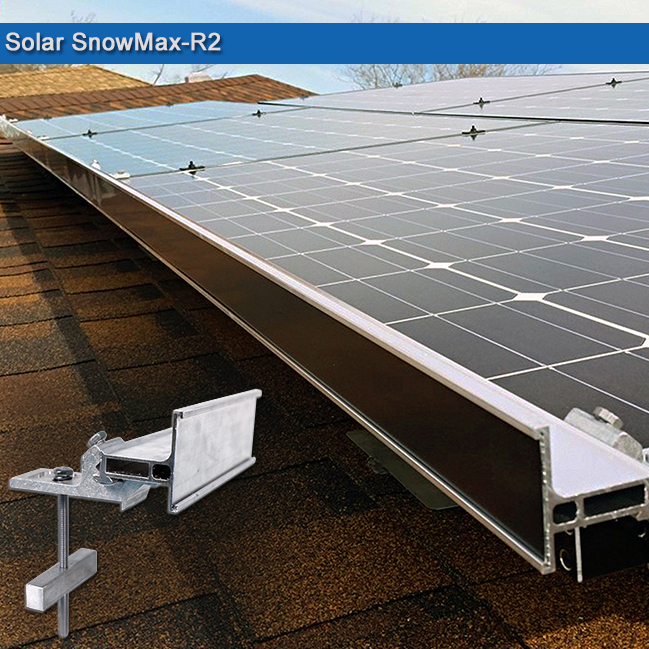 If you’re not already familiar with our line of solar snow management solutions, take a look below, and discover why contractors all over North America are installing snow management solutions designed specifically for use on solar arrays. Alpine SnowGuards, the leader in rooftop snow management devices, and the sister company of EcoFasten Solar, has the remedy: Solar Snow Management. We manufacture frame-mounted systems that will manage the snow and ice. Systems that have been engineered through years of research to provide a super low-profile. In fact, we’re the originators of solar snow management! Our Solar Snow Management Application Chart will help in determining placement and quantities needed. Special details: Take an additional 10% off! Special details: All new pricing – up to 39% in savings! Additional tiers of snow management may be needed upslope, and that’s where the next 2 systems come into play. Monitor your solar panels. Watch how snow and ice melts and falls from them. 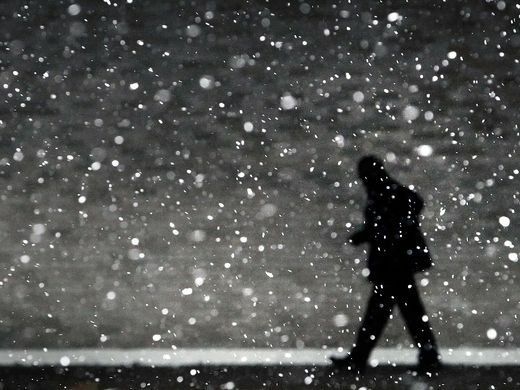 Be mindful of paths, your driveway, your landscaping, your pets, and most importantly, pedestrians. If you have any questions, would like a sample, or would like any additional information, you can visit us online, or contact us by phone at 888.766.4273 or by email at [email protected]. Don’t forget to sign up to keep up with the latest industry and Alpine news, events, product launches, project images, and more! With so many solar roof mount and bracket options available, it’s always wise to do your homework when selecting what products you’ll use on your next project. Since every project is different, and every roof is different, versatility is key. We want your next install to go as smoothly as possible, that’s why when we’re engineering our systems, we always keep you in mind. Our President & founder started his career as a roofer back in the 70’s, so maintaining the integrity of the roof is always first and foremost. We don’t want you to use products that won’t work, and ultimately, we want you to be happy! The extensive EcoFasten Solar line of solar roof mounts and rail-free racking systems is comprised of a series of product systems characterized by roof type application. Each system can be paired with many of our brackets options, allowing installers to attach EcoFasten Solar roof mounts to, well, just about any racking option. Our 4-level, watertight compression technology does exactly what we say it’ll do. When it comes to bracket options, the L-102-3 is a popular choice. No adaptor plate is necessary when used with EcoFasten flashing, and the two attachment points on the vertical leg will give you the height adjustability you may be looking for. The L-102-3 is compatible with our GreenFasten™ – GF1 for composition shingle roofs, QuikFoot for shingle or slate, Eco-44R-NDD for SIPs panels, our Tile Flashing System, and with our CorruSlide, and Simple Seal System for metal roofs. This bracket is also available in a 6” option (L-102-6). Compatible with the same systems as above, and featuring an open, slotted attachment point on the vertical leg that allows for a wide range of adjustability, the SCL-101-3 makes it easy. All you have to do is attach your EcoFasten roof mount to the roof, pre-set the hardware to the rack, and drop the rack into the pre-set SCL-101-3. Easy peasy! The CompSlide is one of our newer bracket options that anyone using a shared rail system really should be using. The CompSlide can be positioned within a 360° radius, allowing N-S and E-W orientation. One lag bolt is all that’s required, and the efficient 4” length will give you just the range of adjustability you need. Our CP-SQ-Slotted Adaptor Plate allows installers to use 3rd party L-Feet with many of our flashings. The milled counter-sink on the bottom of the plate ensures a watertight compression seal when fitted with an EPDM rubber bushing, while the channel along the top of the plate allows moisture and water to flow out and away, rather than pooling around the fastener head. We also offer the F-111-A adaptor plate which allows for additional racking height. We all know that low-slope roofing requires specifically designed and engineered systems, so attachment can be made directly to the wood decking / blocking. Our Eco-44 system for low-slope roofing can be paired with different bracket or stand-off options which provide customized solutions. Our P-6-CSK 6” compression post makes it possible to flash the roof mount with a membrane roofing manufacturers pipe boot, split boot, or witches hat to comply with manufacturers warranties. We also offer a 3” version, the P-3-CSK. If your project requires attachment to the side of the post OR to the top of the post, while maintaining a low profile, then the C-102-6 C-bracket is an ideal option. This bracket is compatible with our P-6-CSK compression post, and is designed for use with our Eco-44. The SIM-Support is a stand-alone bracket with a unique center lift, that utilizes our Simple Seal bushing, creating that watertight compression seal. Engineered for used on metal corrugated roofing, fastener spacing allows for 2 fasteners per metal purlin. Our Tile Flashing System (for Flat, W or S tile profiles) is compatible with many bracket options, including our recently-designed 7” Tile Top Slide. 360° positioning and N-S or E-W orientation gives you a customized solution that is fast, effective, and uncomplicated. And the one-step lag bolt installation is a breeze. The Conduit Mount Bracket is raised to lift electrical conduit up and off the roof, preventing overheating, while utilizing the same technology as our other compression brackets. This bracket is also used by the HVAC, electric, and solar hot water heating industries. Available in configurations for metal, comp shingle, and tile roofing. EcoFasten products give you confidence in knowing that your roof mount system will remain impermeable even under the most extreme conditions. A precision design process, technical research and development, and extensive testing means that each and every EcoFasten Solar product you use meets or exceeds the highest industry standards, is code-compliant, and follows roofing industry best practices. Like I said, we want you to be happy! Discover the EcoFasten difference for yourself! If you ever have any questions at all, please don’t hesitate to email us – that’s what we’re here for! Mounting solar modules onto metal standing seam roofing can be tricky business. You don’t want to choose a mount that will penetrate the roofing material (thereby voiding the roofing manufacturer’s warranty). You also want to steer clear of systems that haven’t been properly tested. At EcoFasten Solar, we’ve been engineering solar roof mounts and rail-free racking systems long enough to understand these points, and thanks to our founder and President’s 40 year history in the roofing industry, the integrity of the roof has always been our first and foremost priority. We currently manufacture three clamps that were designed specifically for mounting solar to metal standing seam roofing. Designed as a rail-based solar mounting system, SimpleBlock offers up a streamlined design, rugged fabrication, configurations available for either horizontal or vertical standing seam profiles. North-South adjustability and the fact that the two oval-point set screws come pre-installed translates to time and cost-savings for you! What’s the difference between our SimpleBlock and our SimpleBlock-PV? The “–PV” version utilizes our end spacers and mid-clamps, allowing for rail-free mounting for modules 32mm, 35mm and 40mm in thickness. Featuring North-South adjustability and integrated bonding, SimpleBlock-PV conforms to UL 2703: First Edition (Testing performed by Nationally Recognized Testing Laboratory TÜV Rheinland). 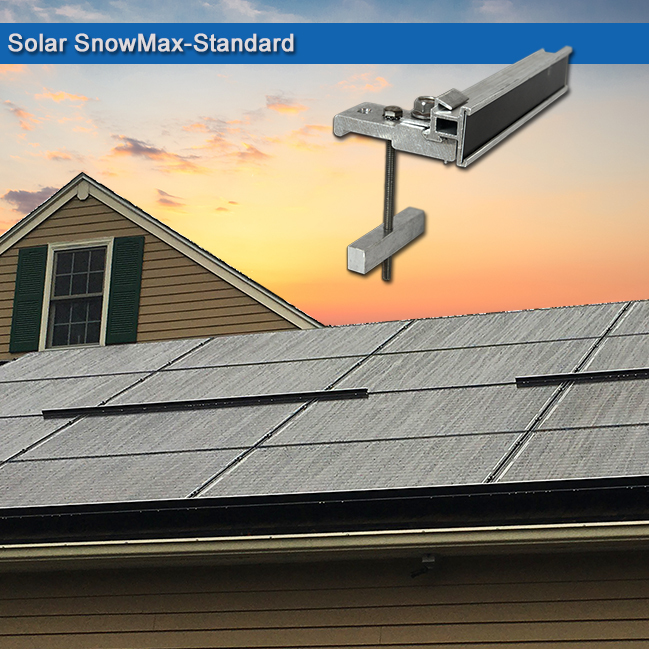 ASG-U clamps, manufactured by sister company Alpine SnowGuards®, are efficient solar roof mount attachment options for any metal standing seam roof. Installation of the ASG-U clamps will not pierce the roofing material, and are available in configurations for both vertical (double-lock) seams, horizontal (single lock) seams. The ASG-U clamps allow you to attach almost anything to a metal standing seam roof. Want to know more? Shoot us an email and we can give you all the details – OR, visit us online, view & download product documentation, search products by roof type, and discover why EcoFasten products are used by the top installers in North America. Hello solar industry! Jolene here….The following was written by the President and Founder of EcoFasten Solar and Alpine SnowGuards, Brian Stearns. Brian has been in the roofing industry for 40+ years and I can tell you first hand, he knows his stuff. Not only does he know it, he’s been roofing long enough to know that the integrity of the roof always comes first, which is why designing and engineering solar roof mounts, rail-free racking systems, and rooftop snow management solutions is his passion. When you have passion, incredible things can happen, and Brian is happy to share his knowledge with the solar and roofing industries – because we’re stronger together. Galvalume® is the topic, and it’s a very interesting, educational, and eye-opening read. EcoFasten Solar’s DNA is roofing installation. EcoFasten Solar evolved from a sister company, Alpine SnowGuards. Alpine SnowGuards became a division of Vermont Slate and Copper Services (VSCS), which began as a roofing contracting firm. A 16-ounce (oz.) copper roof, expected to last 75 years or more, would use a 16-oz. copper flashing; like materials perform the same. A slate or clay tile roof, expected to last 100 years or more, would use 20 oz. copper, lead coated copper, or lead. A concrete tile roof, expected to last 50-60 years, would use anything from aluminum to copper to lead depending upon the other types of metals used on the roof, such as fasteners. A steel or aluminum roof, depending upon the type (standing seam or exposed fastener corrugated types) thought to last from 100 – 50 years respectively, would typically use similar gauge and similar material for flashing components. A composition shingle roof is typically thought to have a lifespan of 25-35 years. These “Comp Shingle” roofs are also thought to be the lower end of roofing cost. As such, the metals used to flash these roofs are typically on the low end of cost and the flashings are chosen to last as long as the roofing material itself. For this reason, it is rare to see expensive materials that have long service lives, such as copper or lead coated copper, used with Comp Shingles. Instead, these roofs are typically flashed with aluminum, painted aluminum both in thicknesses ranging from 28-24 gauge, galvanized and painted galvanized with various thicknesses, and Galvalume and painted Galvalume in various thickness. The roofing industry recognized in the late 1970’s that Galvalume coatings on steel sheet had all of the best qualities of aluminum and zinc needed to provide the most cost-effective corrosion resistance metal roofing components available. Since its inception by Bethlehem Steel in the late 1970’s, Galvalume has become the primary coating for steel roof flashings. This history begs the question of why the solar industry, including EcoFasten Solar, engaged in making rooftop flashing for solar hardware using aluminum? The answer is that manufacturers of solar components use aluminum for panel frames and extruded structural parts and because the logical approach is to use similar metals, aluminum was used for roof top flashings. The decision to use similar materials was made notwithstanding the fact that aluminum components work well with Galvalume coated steel. EcoFasten and its sister company Alpine SnowGuards have known about Galvalume coated steel’s compatibility with aluminum panel frames for years, as has the largest integrator in the US who switched to mill finish Galvalume almost exclusively years ago. From roughly 2012 – 2016, the solar industry was growing so fast that installers were not focused on associated savings by switching from aluminum to Galvalume flashings. This component is a small part of the overall system. However, today there is more focus on cost savings and switching from aluminum to Galvalume flashing can result in material savings. Moreover, Galvalume flashings are far more rigid than aluminum flashings, which often make it easier for installers to use. In summary, by conducting a quick Internet search, anyone can find that Galvalume has been a reliable, often preferred material in the roofing industry for decades. Galvalume flashings are cost efficient and effective alternatives to aluminum flashings. Making Galvalume flashings can be more difficult than aluminum flashings, but EcoFasten Solar has years of experience and expertise. If you are interested in EcoFasten Solar’s Galvalume flashing, please contact our Sales & Customer Service Manager, Elaine Despeaux at: (Direct) 602-272-1477; (Toll Free) 877-859-3947; or email her at [email protected]. Over the past 4 years, a number of posts have appeared on the EcoFasten Solar blog….blogs relating to the solar industry, solar in general, mounting solutions, bracket options, solar snow management, links to animation videos, and everything in between. I was just looking over all of those blogs, and realized that there have been over 130 posts to date! Many are educational, others are useful, and some are funny. And from my side of things, they’ve ALL been fun to write! It’s exciting to know that we’ve generated so much helpful content! Exciting too, that, as the industry grows and changes, so do we, not only as a company, but as individuals too. To be able to look back, and see what was happening when, from a perspective you won’t see anywhere else, is such a gift, and with Christmas only 12 days away, here’s a gift for you all…. Below you’ll find links to many of these posts – the ones that still hold relevance anyway (i.e. : not about an upcoming tradeshow, or a tradeshow we just returned from). Take a look, and if there are any that interest you, take a look further! The movers and shakers at EcoFasten have become an authoritative voice in the industry, and that’s mostly due to the fact that our founder and President is a former roofer himself, and has spent decades on the roof, and everyone he hires to work with him carries their own wealth of knowledge. There’s no other way to say it – we know (and like) what we’re doing. Below is a listing of posts that I thought would be the most beneficial for all you installers out there – after all, without you, where would we be? I’ll tell you exactly where….sitting around talking about solar, looking up at roofs jabbering on about how great solar would be on rooftops, and in machine shops and factories, producing product no one knows what to do with. Take a look, and if you like what you see, let us know! If there’s something you don’t see, that you’d like to, let us know that, too! We strive to continue passing along what we know, and most importantly, what you WANT to know. Tile Installs Taking Way Too Long? A Universal Mounting Solution got Corrugated Metal? Check! Do I Really Need an Annual Roof Inspection? A Tile Mounting Solution That’s Fast AND Easy to Install? Yeah, We’ve Got That. You Have Got to See These Rooftops! Sometimes You Just Want to See Photos! Did You Know? The Sequel. The EcoFasten Solar Team Has Exciting News to Share! 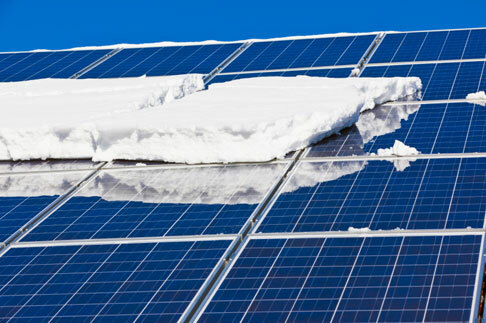 Is Snow Avalanching Off Your Solar Panels? Now that you have your reading list, sit back, relax, grab a cup of hot cocoa, put your feet up and enjoy! Today is #GivingTuesday, so instead of “giving” you a blog post about the solar industry, or about our products, I thought a nice way to kick off this day of global giving would be to give you some background on the origins of the day, as well as some suggestions on how you can give/share/help. So many of us are divided. Divided by political issues. Divided by our own little bubbles – families, careers, friends, and homes, that we sometimes forget that not everyone is fortunate enough to have a family, a job, friends, or even a place to rest their head at night. It’s for this reason that #GivingTuesday was started. Now in its 6th year, the campaign, in the words of co-founder Henry Timms, is about tapping into the ‘communitarian spirit’, and that this day reminds us that our democracy is about more than just our politics. In the U.S. we celebrate this day on the Tuesday after Thanksgiving, Black Friday, and Cyber Monday. The campaign grew legs in 2012, thanks to the 92nd Street Y (better known as 92Y – not affiliated with the YMCA), which is a multifaceted community center and cultural institution in New York City. The whole idea is actually very simple: Find a way to give back, and then share your idea. You don’t have to give money or “things” – your time is valuable, too! If you do choose to make a monetary donation, take a look at these tips from the Better Business Bureau. So, what can YOU do? The opportunities are literally endless and can be done on your own, with your friends, through your community, church, school, and places of business….nothing is too small, and no gesture will go unappreciated. All of us here at EcoFasten Solar work closely with the top solar developers, racking system providers, roofing manufacturers, and commercial installation companies to develop breakthrough watertight solar roof mount solutions that are versatile, simple, and secure. All of the products in the EcoFasten line are designed with the installer in mind. Comprised of a team rich with talent and ability, EcoFasten Solar produces reliable systems that do what they say they’ll do. The EcoFasten Solar difference is the FOUR LEVELS of compression technology. We all know that to mount a solar panel to a roof, you need to know as much about the roof construction as you do about the panel function. In fact, you need to know more. Founded by a former roofer with decades of hands-on experience, EcoFasten Solar is the company that was born to bridge the gap between the people who design the solar arrays and the people who install them. EcoFasten Solar roof mounts and components utilize the same patented, watertight compression technology that has been used by its Sister company, Alpine SnowGuards, in the rooftop mounted snow retention industry since the mid-1990’s. This simple, yet secure technology creates an impermeable moisture barrier under even the most extreme conditions. The products in the EcoFasten lineup are rugged by design, employing fabrication and quality manufacturing principles that will maintain the integrity of the roof without voiding roofing manufacturer’s warranties. Every EcoFasten product meets roofing industry best practices, as well as International, Residential, and State Building Codes. The product line is comprised of a series of systems characterized by roof type application, and each system can be paired with a wide variety of brackets options. The Rock-It System is a fast, easy to install rail-free solar roof mount that conforms to UL 2703: First Edition (testing performed by Nationally Recognized Testing Laboratory TÜV Rheinland), and holds a Class A Fire Class Resistance Rating. The unique top- patented, watertight down leveling feature gives the installer the freedom to level the array during or after the install is complete, and the system offers North-South adjustability, while only requiring one tool for the entire installation. .
SimpleBlock-PV is a truly innovative rail-free racking system that utilizes EcoFasten End Spacers and Mid-Clamps, for use on metal standing seam roofs. An added bonus is that the 2 oval-point set screws come pre-installed, which anyone who’s ever spent time on a roof will tell you, is a huge help. For rail-based mounting, we also offer the SimpleBlock clamp alone. Conforms to UL 2703: First Edition and features integrated bonding. Testing performed by Nationally Recognized Testing Laboratory TÜV Rheinland. The GreenFasten™ GF1 system utilizes the patented watertight technology EcoFasten Solar is known for. The flashing is fit with an EPDM rubber bushing and when used with any EcoFasten Solar Compression Bracket (milled with countersink), a watertight seal is created, which protects the integrity of the roof. GreenFasten requires a single fastener (lag bolt or self-drilling), providing a very fast install. Backed by IAPMO certification, GreenFasten delivers a mounting solution for all new or existing composition shingle roofs. The rail-free SimpleRack SR-X° (X° = 10°) was engineered specifically for use on flat concrete roofing applications, and is an ideal system for fast, easy fixed-position mounting. Simple, straightforward components accommodate low and high profile mounting, so pipe boots and vents getting in the way of an installation are not an issue. Featuring integrated bonding, SimpleRack SR-X° is compliant with UL 2703 First Edition. Testing performed by Nationally Recognized Testing Laboratory TÜV Rheinland. SimpleGrip-SQ (the SQ is for “square”) is a watertight solar roof mount solution for low-slope applications that has been tested in accordance with AC 286 and ASTM D1761-06, and like all of the products in the EcoFasten Solar line, SimpleGrip-SQ is fast and easy to install, allowing your next low-slope project to be straightforward and hassle-free. The CorruSlide solar roof mount for corrugated metal roofs attaches to the sides of the panel ribs, as opposed to in the valleys, and adjusts North-South AND East-West, while working as a hinge to easily fit wide or narrow seams. 5 fastener points with self-tapping & sealing sheet metal screws add overall strength and durability, while the pre-applied gasket tape ensures a watertight barrier. The Simple Seal System was designed for installation on most through-fastened, new or existing metal roofs and utilizes a patented watertight bushing. Simple Seal is a cone shaped EPDM bushing that fits into the counter sink of any EcoFasten Solar compression bracket. When fastened to the roof, engaging a purlin or rafter, the Simple Seal bushing is compressed inside the bracket, creating a watertight seal. The Tile Flashing System was designed for use on new or existing tile roofs and is available in 3 profile options for flat, “W” and “S” tile roofs. By using this innovative flashing system, which replaces one complete roof tile, the need for cutting, drilling, grinding and the replacing of tiles is eliminated. Multiple fastener holes in the system’s base plate allow for attachment into the rafter, regardless of the flashing alignment. The embossed cone-shape stamped into the flashing and fitted with an EPDM rubber bushing creates a watertight seal when paired with an EcoFasten Solar compression bracket. Backed by IAPMO certification. The Tile Hook Flashing is compatible with 3rd party tile hooks. The flashing replaces a complete tile, so there is no need for drilling, cutting, or grinding of tiles. The Tile Hook Flashing is available in 3 profiles: Flat, W and S.
Manufactured by sister company Alpine SnowGuards, our solar snow management options are the strongest on the market, due to their rugged design and aircraft-grade aluminum fabrication. Ideal for roof-top solar arrays and carports, for both commercial and residential applications, and can be used with either portrait orientation or landscape arrays. The Eco-44 base plate is designed to be attached specifically to wood blocking or wood decking. Eco-44 can be used on new or existing roofs, and is used by countless manufacturers of ballasted solar racking systems. The base plate of the Eco-44R-NDD system requires 8 fasteners, allowing the system to be installed directly to the roof deck without engaging a rafter. The ECO-44R-NDD System can be used with a variety of Compression Bracket options, providing a customized solution. ECO-44R-NDD can be used on new or existing roofs. The QuikFoot System includes a base plate installed with two self-drilling fasteners, providing an optimum pullout value and fast installation. When paired with an EcoFasten Solar Compression Bracket, the QuikFoot Flashing creates a watertight seal that will maintain the integrity of the roof. A variety of compression bracket options provide a customized solution, compatible with leading manufacturer’s solar racking. The bracket is raised to lift electrical conduit off the roof, preventing the wiring from overheating, and is available in configurations for composition shingle, metal, and tile roofing applications. Visit us online for a look at all of our solutions!